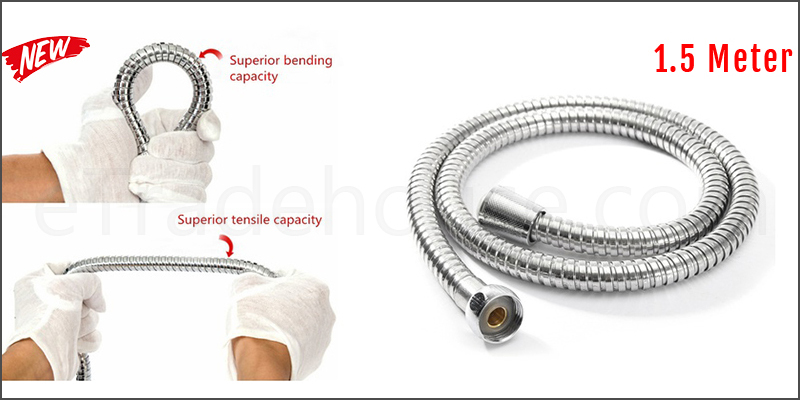 · High Quality Stainless steel bathroom pipe washer. · Flexible, sturdy and crease-proof. · Perfect for high water pressure systems. · Resistant to aging, extreme cold or hot temperatures, and corrosion. · A new design that insures that it will never go out of shape. · Never rust and no deformation. · Two leak proof washers are thermal resistant so no more leaks. · Adds style, comfort and durability. · Very easy to use and install.